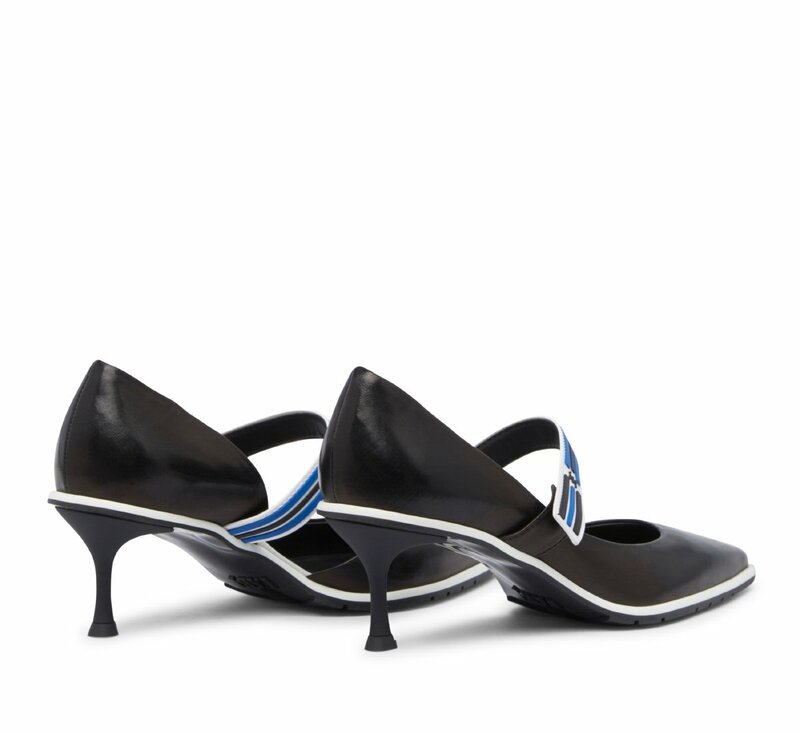 Pointed ballet flats in elegant mesh fabric in black & white and patent leather, a perfect everyday multitasker. Optical collection. Leather sole.